I didn't keep track of how many times I uttered this to as we were driving around Wanaka, New Zealand, and she was pointing out all sorts of mountains she wanted to make me climb. There was talk of a hike to Rob Roy Glacier in Mount Aspiring National Park. 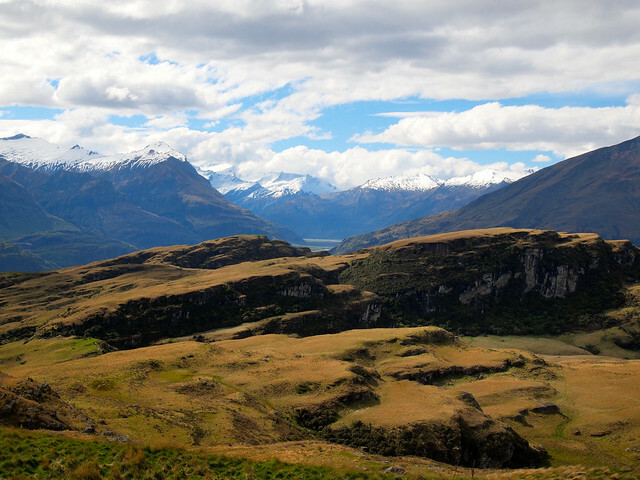 A hike to Rocky Mountain Summit just outside Wanaka. And what would have probably been a full day climb of Roys Peak. Thankfully for us both, the weather and our lack of ability to plan anything conspired for us to tackle the Rocky Mountain Track first. 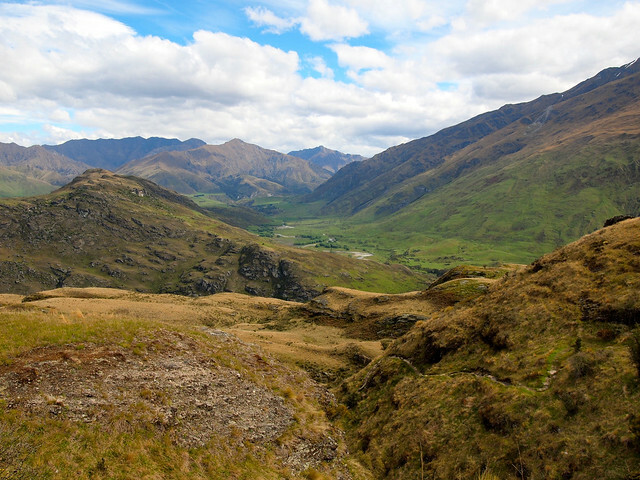 The track — located about 20 minutes from Wanaka — is a slightly more obscure one in the region. Even though it's close to a lot of the other popular walks in the area, not many people seem to know about it. 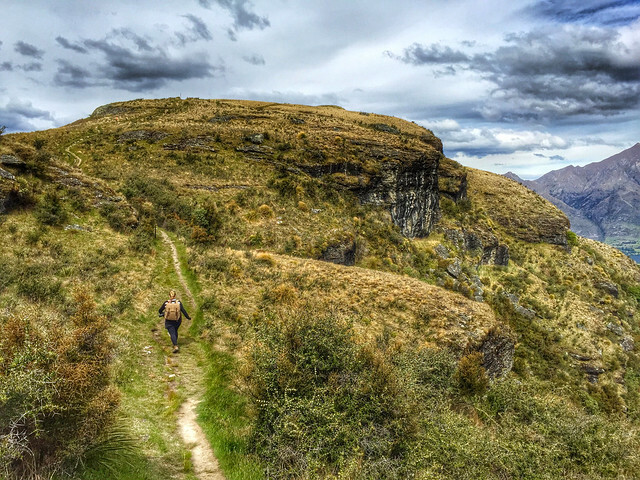 The track is maintained by New Zealand's , and has a few different hiking options — we of course we going for the whole enchilada — the 7-kilometer track that would take us to the Rocky Mountain Summit and back. DOC estimates the whole hike should take about 3 hours. 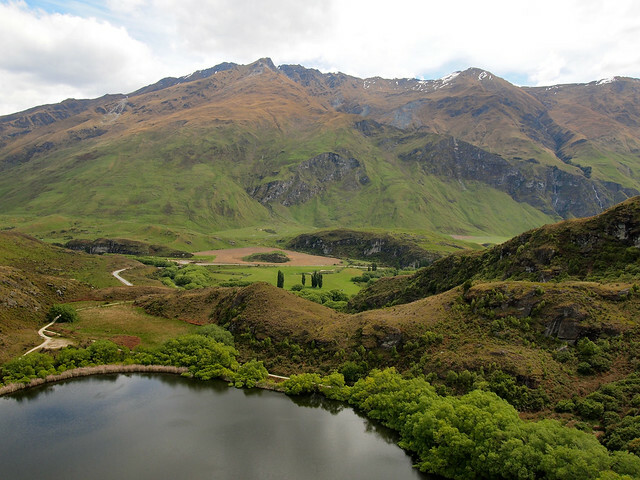 It's probably listed as an “easy” hike, but a hike that would have you scale a waterfall and leap over a river full of sharks would probably be classified as “easy” in “We-Downplay-Everything” New Zealand. We arrived around 3 p.m., armed with water bottles, a few layers of clothing, and a bag of potato chips to reward ourselves with at the top. Liz had done this hike before, and assured me it would take us far less time than the DOC estimate — “We'll probably be at the top in 45 minutes,” she said. 45 minutes into the hike, and we were nowhere near the top. We had conquered the easy first part of the track (mostly gravel) and climbed about a billion steps to a lookout point over Diamond Lake. By 45 minutes in, we had a nice view over Lake Wanaka, but I was out of breath and starting to get tired. Luckily, I had plenty of excuses to stop and take photos. To be fair, I wasn't the only one breathing heavy. But Liz was making fun of me anyway. I pointed out, though, that I TOLD her I was not a hiker nor in shape (unless “shape” means kind of round and squishy). I wasn't about to give up, though. We continued on, Liz assuring me that the top was “not far now” every time I would be tempted to rest my screaming calves on an inviting-looking rock — even though I could clearly see that the top was not, in fact, anywhere nearby. Eventually, I came to the conclusion that she was just trying to kill me. 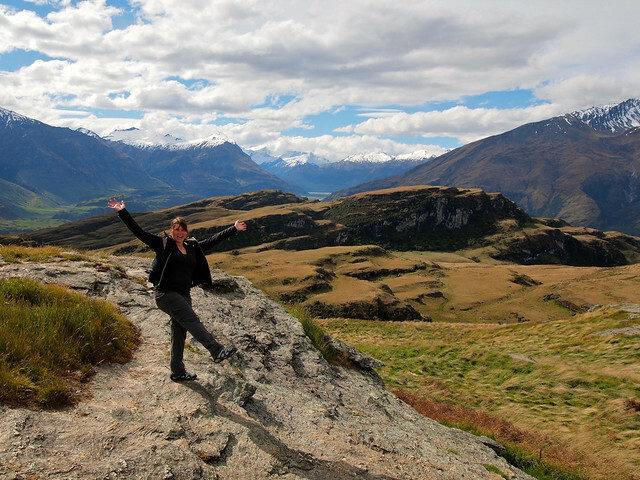 She lured me to her home in Wanaka, only to try to do away with me on an empty hiking track. No, no. I really love Liz. And I'm actually glad she forced me to the top of that “mountain.” It was something I would have never done on my own, and it allowed her to show me a slice of her new, outdoors-loving life. It didn't hurt that the view at the top was great, or that we had the summit completely to ourselves, either. We spent almost 45 minutes up there taking photos and appreciating how damn pretty New Zealand is. What's that quote about climbing mountains? Look at that look of glee on her face… probably thinking about throwing me off the top! All my complaining and hyperbole aside, it's a pretty epic hike — totally doable in a morning or afternoon. I'm not sure that I would do it AGAIN… but in the end I was glad I was forced slightly out of my comfort (and fitness) zone in order to get to the top. 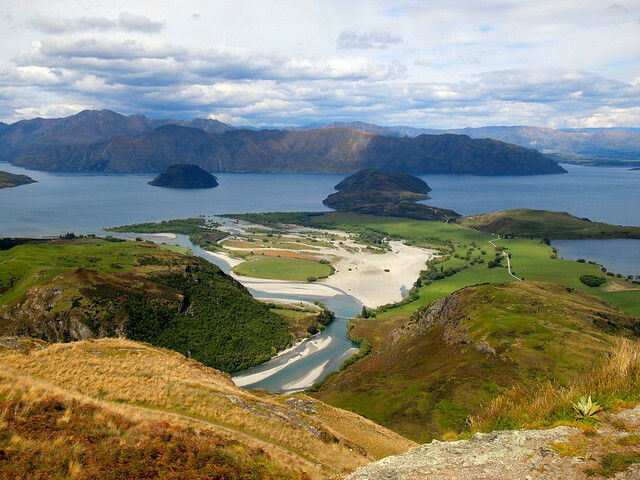 If you're even in Wanaka, is this a hike you would tackle? I told her at one point she’d probably have to carry me the last bit. Haha. I’m glad we did it, though! Please tell me someone quoted Samwise Gamgee at that moment? Highly recommended! 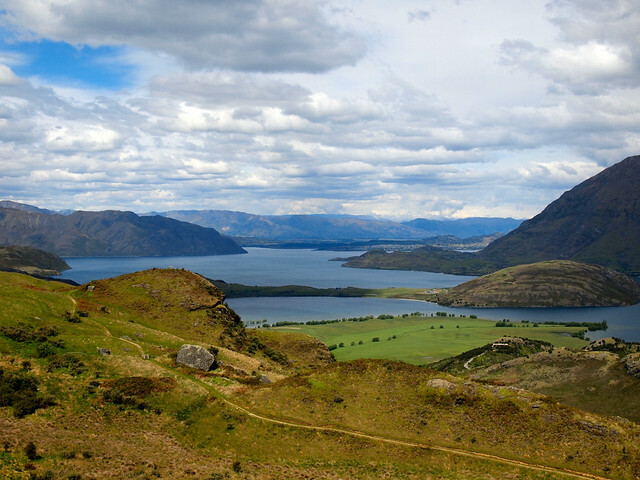 Wanaka is amazing – make sure to stay a while! LOL. I admire Liz’s adventures because I know I couldn’t hack it at half of them, so this was such a fun read. I’m glad you made it back in one piece and were able to share your gorgeous photos! Haha, yup, I survived! 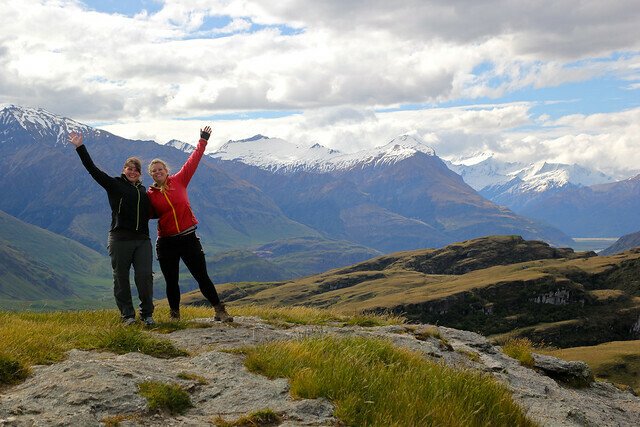 And the rest of the adventures we had in New Zealand were much easier – though still just as epic, so stay tuned! I can share your excitement about being at the summit of that Mountain!! I am a 61 and a half year old woman and I am very proud to say that I and three friends, one about my age and two much much younger than me, climbed the Rocky Mountain summit the other day. We also did the 4 hour hike of the Rob Roy but this is nothing compared to climbing the top of the Rocky Mountain. I haven’t done something like this before and I am glad I did it. I must say that these are the highlights of my trip to New Zealand. Congratulations! It’s definitely an epic hike. I really was worried about my legs giving out on the way down though, they were so tired! Though I do like standing on the top of the mountains, getting up to the top is another story. I love the sense of accomplishment though once I am there. I’ve done way more intense hikes than the ones in NZ, because luckily the altitude isn’t really the problem here, like in South America for example, and weirdly enough I think the DOC always exaggerates with the amount of time that they say it is going to take to do the treks. Ben Lomond in Queenstown took me 6 hours and the sign said 8 and I consider myself quite slow. 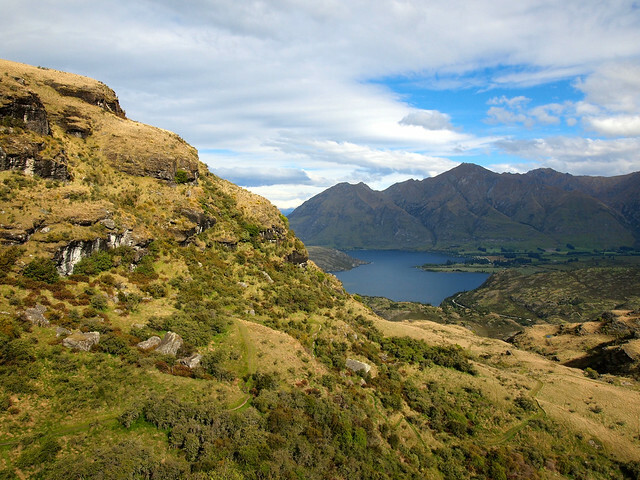 I want to do the Istmus Peak in Wanaka, That one is supposed to be really good! Yes, Liz says DOC usually over-estimates the times… but it DID take us over 3 hours to do the Rocky Mountain track because I was so slow! Haha. But yes… luckily altitude isn’t an issue in NZ! You have reminded me of my hike in Darjeeling! It was around 3-4 hours rainy hike to a lake! But it was relatively easy one, as it was mostly downhill and then we returned from a different path to avoid uphill. But my fellow hikers had a chance to make fun of me, as I had slipped in the beginning of the hike (it was all slippery due to the rains). They kept reminding me to walk carefully and all that! 😀 I LOVE HIKING! And I would definitely like to explore Wanaka! It’s SO beautiful! I guess, once you see such stunning views the breathlessness doesn’t matter anymore, right? Oh, the breathlessness still matters… haha. But yeah, it was gorgeous! BUT IT MAKES FOR A GOOD STORY!! I loved reading this post about you and Liz trudging away “Oh, actually I don’t remember this part from last time” I love hiking but I’ll stay on the easy path thank you very much. I’ve done the it’s-so-easy-everyone-can-do-it live volcano climb, and it wasn’t funny or easy. I cried a lot but I finally made it! You sound like me! Yeah, hiking has never really been my thing, and I don’t imagine myself enjoying ANY hike longer than 4 hours or so. Well done Akatuki! I wouldn’t consider myself very fit at all, and usually find myself wheezing when I attempt a hike. It’s so satisfying when you get to the top though isn’t it? Bet you slept well that night too! I did sleep pretty well that night! … And then was sore for the next 2 days. Haha. I’m with you on the clubbing! It’s never been my “thing” either. And yes, New Zealand is gorgeous! This post actually makes me want to hike more, haha! And I am going crazy happy, seeing these photos, because I’m traveling 18.000 km the day after tomorrow, to NEW ZEALAND! Yay I hope you love it! 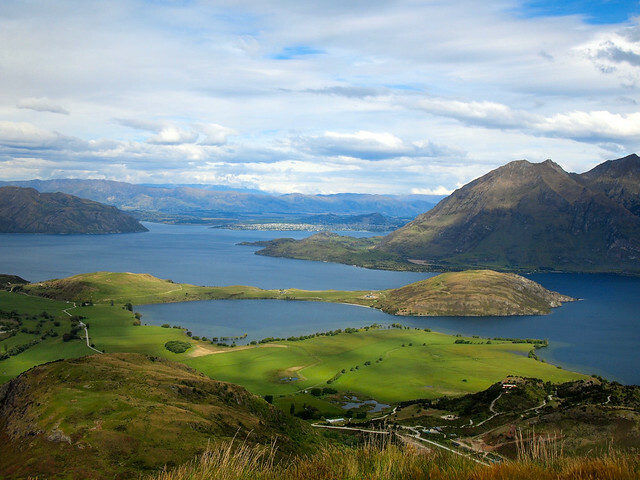 Make sure to visit Wanaka! It’s funny how “easy” trails are NEVER actually easy!!!! SERIOUSLY! And I feel like it’s especially true in New Zealand. Yes and at least going down was much easier! Those views are incredible! I’m with you though–I don’t think my body was made for hiking. I did one in the Scottish Highlands with Pete (Hecktic Travels) because he really wanted to go and Dalene, I think, had her fill of hikes. The whole time I was out of breath and red-faced and sweaty, hoping he wouldn’t notice how terribly out of shape I was while I stopped every few minutes to take photos. Sounds like you and I are on the same sort of hiking fitness-level. We should plan one (and by that, I mean, a short walk that ends with a wine reward). Ha I’m totally down for that, Megan! It really made me realize how much more cardio I need to be doing! Yeah the scenery was definitely worth the agony. Haha. We did another hike near Mount Cook (which I haven’t written about yet) that I enjoyed much more. It was flat, but the scenery was even better! Definitely more my speed. I love this post. One of my resolutions this year is to hike. “A journey of a thousand miles” and all. I WILL make it to Dragon’s Back. Love your blog and Young Adventurous, too. Happy travels! Aww thanks Sharon! I hope you complete that resolution!! I have just done a couple of day treks recently in Argentina and so recognize myself in this! It is worth it do when you finally reach the goal:) Great pics! Yeah, in the end I suppose it usually IS worth it! I won’t be hiking to Everest Base Camp anytime soon, but I suppose you have to start somewhere! I loved Wanaka!! Unfortunately when I went to NZ 5 years ago I wasn’t a big hiker (I love it now) and I kick myself everyday for not hiking more while in that insanely beautiful country! How cool is it that TWO of my favourite travel bloggers know each other! And travel (at least hike) together! This is pretty neat in my book. Haha aww, you’re too kind! We do indeed know each other (and get along really well!) 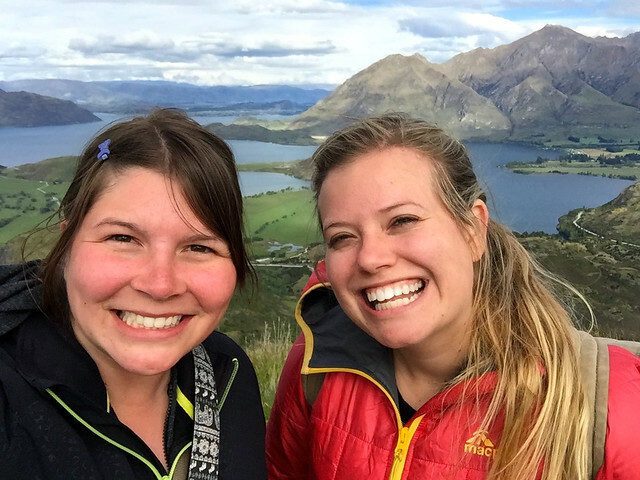 – I stayed with Liz for a week in Wanaka and we had some awesome adventures! Love this! 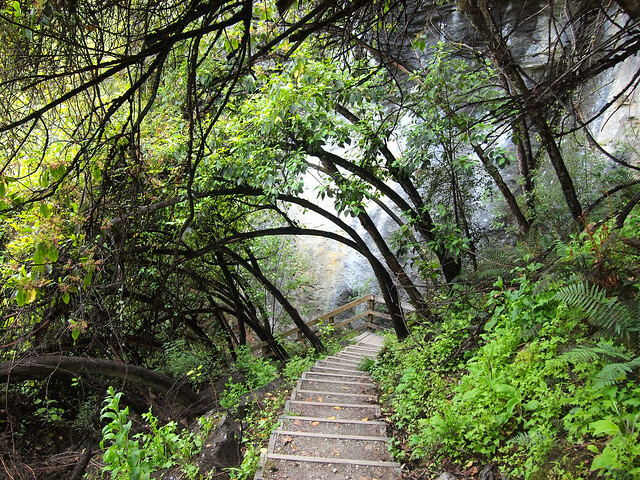 I just want to go do this hike right now… so beautiful and tempting. But those stairs looked like a killer. Luckily there was only that one section of stairs. But it was still all uphill for 1.5 hours! I wasn’t really prepared for that… haha. Awesome photos. I know how you felt. My first real hike was 4 miles. I had never been hiking before. My husband loves it so I did it. It was when we first dating. To keep me going he just kept telling me that its worse if you stop. But I did it and it was an awesome feeling. Glad you completed it (and that you stuck with him even after that! haha). Well done, Akatuki 🙂 I’m not really a hiker either, but that rewarding view in Wanaka could very well convince me to try it anyway! Those pictures are INCREDIBLE! Thanks, Miriam! 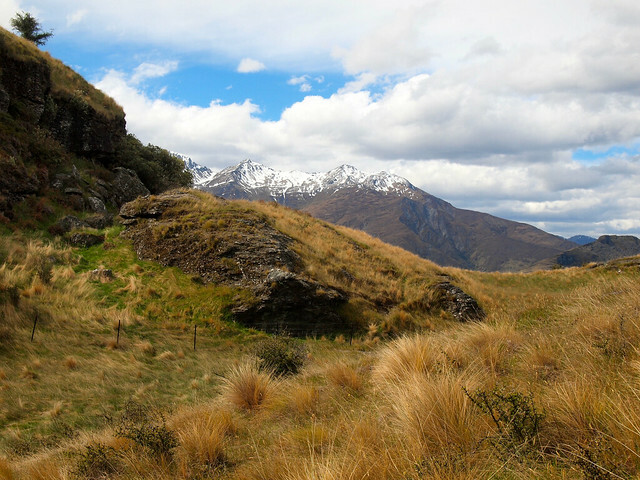 If you think these are great, wait until you see the photos from the hike we did at Mount Cook!! Akatuki, you and Liz look like you’re having a blast. So lucky to have a friend you’d trust with that sort of challenge (I have a few) — even knowing she was probably trying to kill you! And those views … Thanks for sharing! It’s funny, in the past few years suddenly everyone I know has gotten into tramping/hiking! And I guess NZ is a great place for it. I did my longest hike ever this weekend – probably about 6 hours total though with a fair few rest breaks, along the Te Henga trail – so this one definitely sounds doable. But a full day or overnight trails… that’s just not for me. 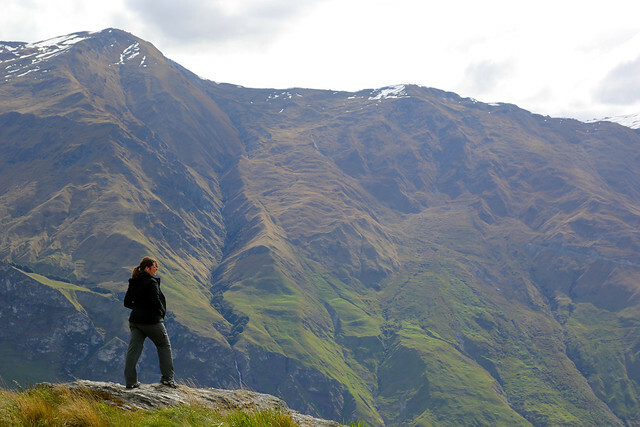 I do wish I had been more interested in hikes back when we did our South Island trip. New Zealand IS a great place for hiking! It’s no wonder so many people there love it. I’m with you, though – the multi-day treks really don’t appeal to me at all! Hilarious! Sounds like it was (at that time) a really painful hike. But those views are definitely worth it! I’m a city girl but I think I would try and put this on my list the next time I go. And keep chanting to myself that this is possible! Definitely possible. 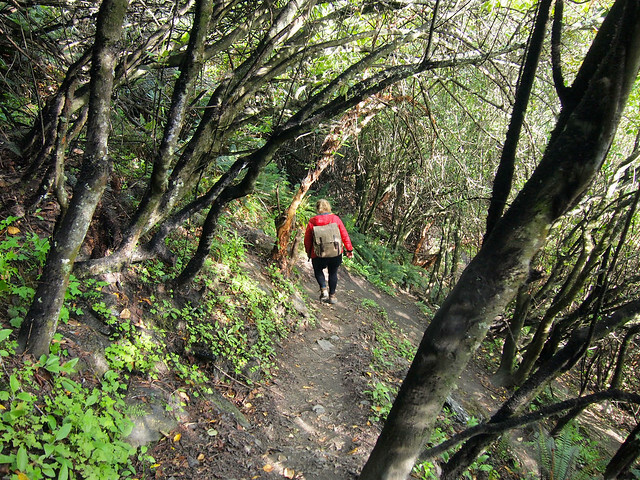 And it’s really not THAT difficult of a hike – I’m just the worst hiker on the planet. Lol. It will be cold (and potentially snowy) in June on the South Island. So a warm jacket is definitely recommended! When I lived in Wellington a few years back in the winter, I took a heavier, wind-proof North Face jacket. A rain jacket will definitely be too light in most places at that time of year!